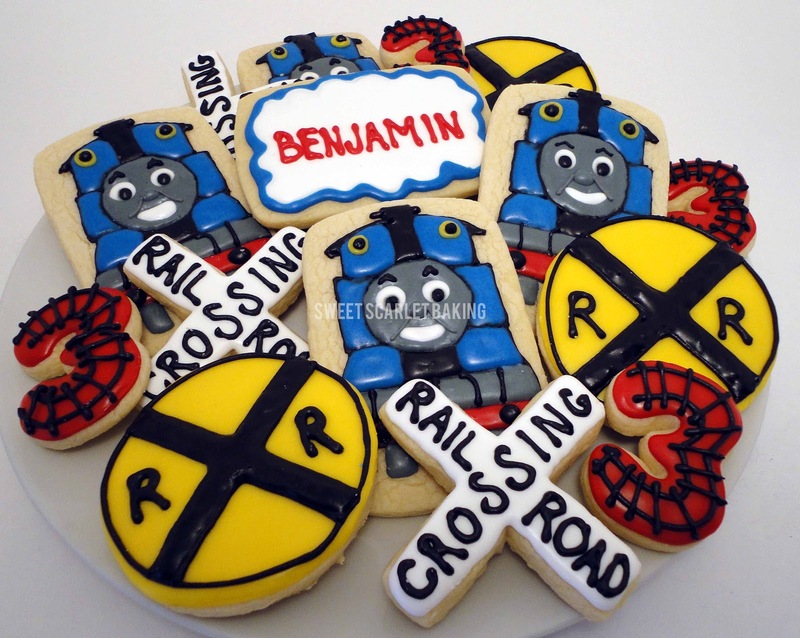 What little boy doesn't love Thomas the Tank Engine?! 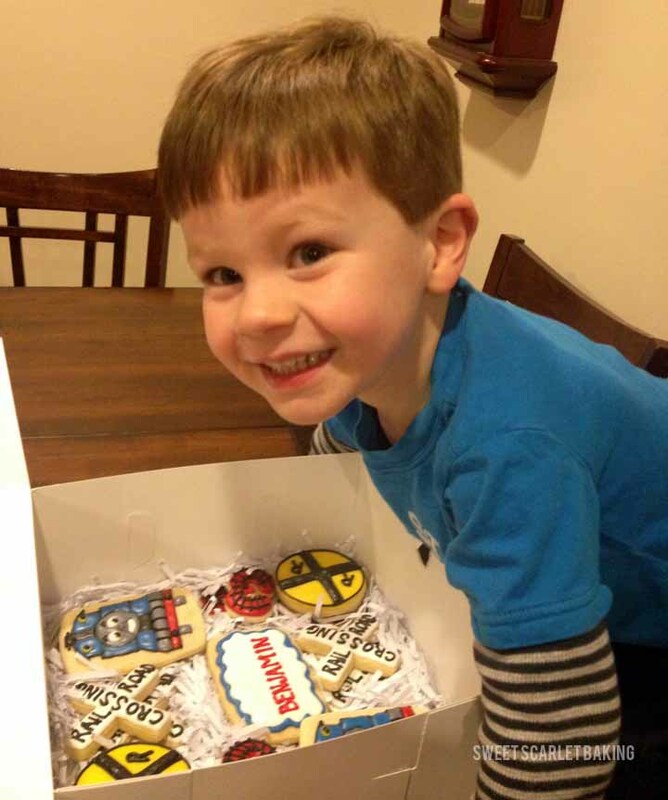 My customer wanted Thomas decorated sugar cookies to celebrate her son's 3rd birthday. 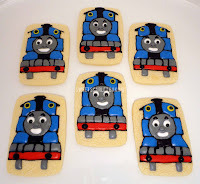 Michele at i-heart-baking has some great step by step photos on decorating Thomas, but I modeled Thomas's face after these from Sugar Mama Cookies. I love how Holly at the doughmestic Housewife dressed up Thomas with railroad signs and tracks. 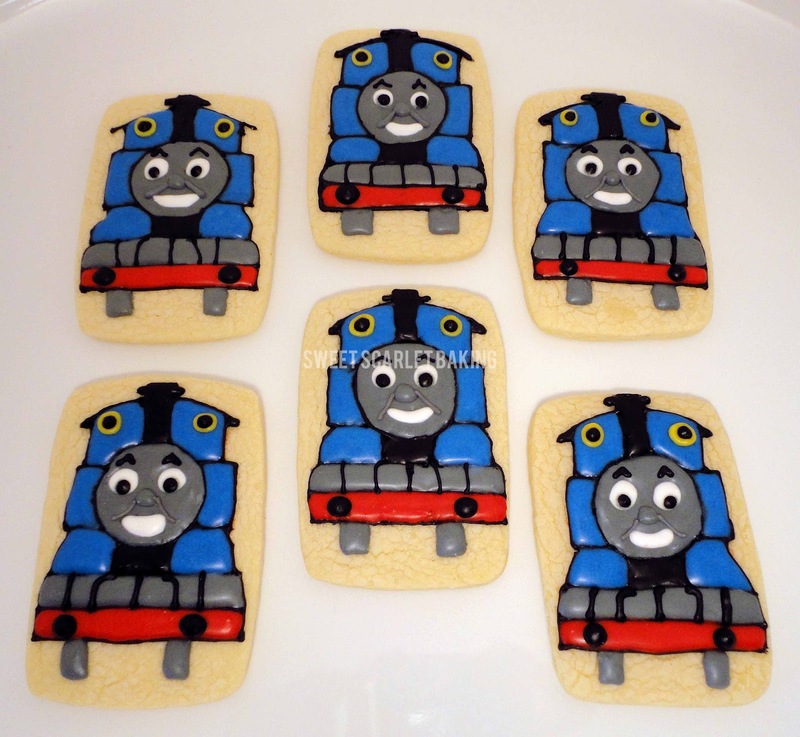 So, I decided to design my own version. 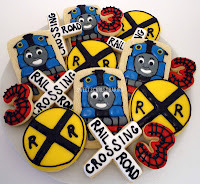 All aboard for birthday fun!